The class includes a big technique part with set exercises that can be followed by trained dancers from the first time on but their quality will be develop just when you regular work on and with it. One focus is on strength and fitness exercises, precise stretching and a muscle building especially for deep muscles you need as a dancer. That guarantees security and stability for turns and jumps that follow afterwards across the floor. 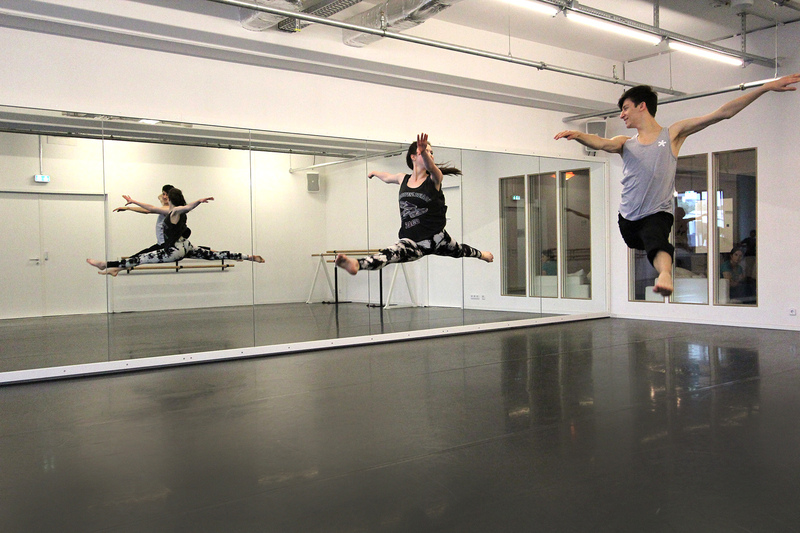 Stellas choreography are moving between the wide field of jazz, modern and lyrical. She wants to explore different levels of musicality giving you the possibility to fill these levels with dance. That’s why there can also appear contemporary elements from floorwork. The time you will learn and dance the choreography lasts around 25 minutes as the focus lies on the technique part. Sometimes Stella just extend jump or turn exercises and reduces the choreography part. No matter what she is teaching, you will love it.